The UP Economics Society brings back the most prestigious high-school chorale competition in the Metro, Musikapella. 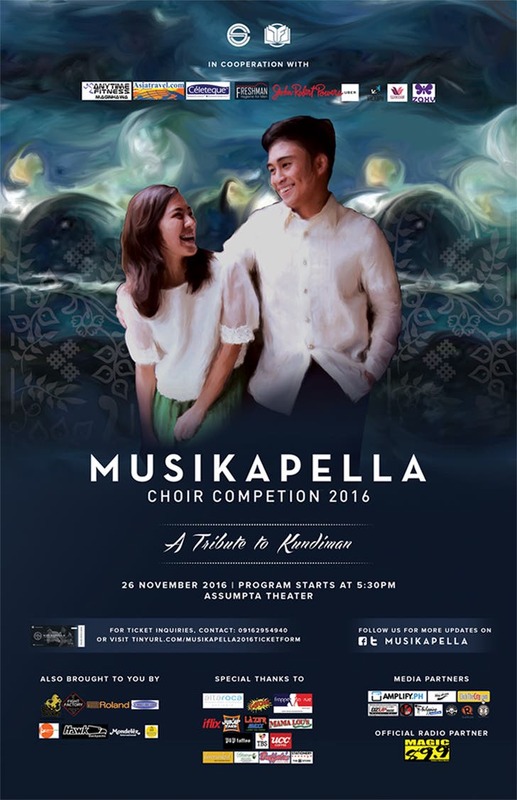 Musikapella is an annual high-school choir competition featuring the most talented chorales from the Greater Manila Area. Musikapella 2016 will be held at the Assumpta Theatre, Antipolo on November 26, 2016 and will feature the rhythmic and smooth sounds of this year’s theme, Kundiman. Along with its goal of promoting Original Pilipino Music, Musikapella also gives opportunities to the beneficiaries of the UP Economics Society Scholarship Fund, of which all the event’s proceeds will go. Tickets are now available at P350.